We often forget the services of silent women communities, who perform a critical role in society. Traditional midwives, called dais in rural India, have taken care of pregnant women and helped them deliver babies for centuries. In 2008, there were 324,624 traditional midwives in India, according to a report of the United Nations Population Fund. They remain unsung, as governments have not recognised their work. The advent of modern medicine system further denigrated their status in society. Of late, some state governments have started training programmes to equip them to handle various kinds of pregnancies better. Though providing financial incentives to pregnant women to get quality healthcare has come as a boon for poor rural women, many still don’t trust public healthcare services and continue to rely on traditional midwives. Contrary to what people believe, traditional midwives have learnt the art from the ancient science of Ayurveda. For instance, mothers who bleed profusely after childbirth are administered herbal mix of madhuka (Glycyrrhiza glabra), devadaru (Cedrus deodara) and manjishta (Rubia cordifolia). They have also evolved their medical practices and techniques derived from homespun wisdom. Not just India, midwives have a significant presence in Africa, Europe and countries in Southeast Asia. When properly trained, midwives can deliver up to 87 per cent of deliveries in 73 countries, says a UN report. Their socio-economic condition can improve if they are formally recognised by the Indian government and are brought under the public healthcare system, along with imparting them with adequate training. Midwives give life to people in testing conditions in remote areas of rural India. More importantly, they need our appreciation and respect. History of human civilisation is essentially the history of labour—be it to gather food or build a house, establish authority in the clan or other activities. A crucial point in the history of labour was when moneyed economy was introduced. It quantified labour, and ingrained one important thing in our minds—the concept of wage. It changed our mind-set as well, now quality or the social contribution of labour was immaterial, only the quantity of wages mattered. Since then, women have been the most exploited and a highly unorganised labour force as they are mainly associated with unpaid domestic jobs. The Industrial Revolution that began in 18th century was another turning point in the history of labour. It brought women to join industrial workforce, paying them for their labour for the first time. However, women were considered the “second” bread earner in the family, and their wages are abysmally less, even half, as compared to male counterparts. The story is more or less same in the unorganised sector which is still more than ninety per cent of the total workforce. In the poor societies like India, the domestic labour force, the domestic maids, is the largest informal labour force and it’s essentially an all-woman labour force. Beside their very cheap labour they have a very positive role regarding the climate change which we never recognised. In an industrial society where the labour is costly, mechanisation has replaced human labour. From electric vacuum cleaners to dishwashers and from washing machines to mops the human labour is substituted with the machines. But it comes with a price tag—large carbon footprint. For instance, production of a washing machine, its running cost and disposal, all processes require a large amount of energy. 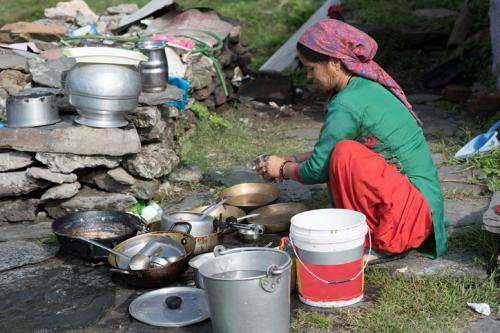 In poorer countries, our domestic helps are our mops, our dish cleaners, our washing machines, to name a few. The requirement of energy is reduced by the intervention of women in place of machines. Carbon footprint is, thus, very less compared to machines. Women in the unorganised sector—household work, farm work, unskilled industrial work—not only contribute our national economy but also have positive contribution towards climate change by substituting usage of energy, whichis often sourced from fossil fuels in our “developed” societies. 1874. 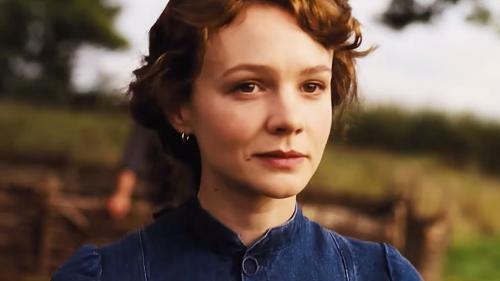 Thomas Hardy’s Far from the Madding Crowd appeared on the scene. The first of the Wessex (a fictional region of southwest England) novels, it was a huge success. The work set in the backdrop of pastoralism has as its central character a young and ambitious woman. Bathsheba Everdene is no ballroom beauty of the Regency era. She is a proud farm owner, who wants to be recognised and treated with respect in a man’s world. She knows she can be cheated and makes it clear when she warns her workforce that no one should suppose that as a woman “…I don’t understand the difference between bad goings-on and good”. The most endearing quality about Bathsheba is her honesty. She confides that she does not yet know “my powers or my talent in farming” initially, yet she works hard from dawn till dusk and lends her hand in farm duties. Today, we remember Bathsheba and the relevance of Hardy’s depiction of women pitted against men when we read about women farmers not getting their dues. Women’s role in fisheries and agriculture is still invisible. Speaking about women’s role in agriculture, Vietnamese woman farmer Pham Thi Huan acknowledged that there were obstacles. As we talk about feminisation of agriculture, we need to understand the important and often unacknowledged role women play. According to a FAO report, in South Asia more than two out of every three employed women work in the agriculture sector. But these hardworking women experience poverty and exclusion. Productivity of women farmers is lower than that of men and the former has limited access to information, training, land and services. At a time when men are increasingly migrating to cities in search of jobs, women are left behind to take care of farms. This is especially true of sub-Saharan Africa. We talk about making agriculture attractive to youth. But in order to feed a burgeoning global population (9.7 billion by 2050), we also need to encourage our women to become successful farmers. We want more and more Bathshebas to dot the rural landscape if we want to ensure food security by the mid century. Mandakini Amte was 24 when she left Nagpur and moved with her husband Prakash Amte to Hemalkasa, a god-forsaken place in Maharashtra’s Gadchiroli district. It was not a sudden fancy that encouraged her to leave affluence behind, go against her father’s wish and live among forest produce gatherers. Living with leprosy-affected people was a taboo in those days; cases of cerebral malaria and animal attacks were rampant. Moreover, locals were suspicious of “civilised people” because of their bitter experience with oppressive forest officers. Despite being geographically isolated, economically disadvantaged and crippled by linguistic barrier, she kept her chin up. From conquering suspicion of locals over modern medical treatment to convincing them about the importance of education, Mandakini Amte donned the role of a teacher and healer. During her four-decade-long steeplechase, she helped her husband fight diseases with Lok Biradri Hospital, dispel ignorance with a residential school and reduce hunger by teaching tribals how to cultivate. Today, at least 45,000 patients come to the hospital annually by traversing difficult terrain, and in case you don’t know, she maintains medical data of about 200,000 patients from 1,000 villages. She and her husband are the modern-day Noah couple, who saved animals from the clutches of tribal hunters by convincing them to abandon witchcraft and animal sacrifices. When I spoke to her husband a few days back, he told me that she is no less than a multi-specialist, taking charge of the hospital, attending to patients with fractured joints and taking up difficult surgery cases—sometimes all alone. She became one among the locals when she learnt madia language and stopped wearing sweaters even in the height of winter because the rest could not afford them. 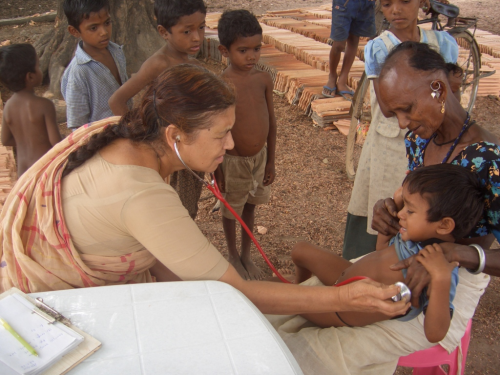 Such was her commitment to tribal welfare that when she became pregnant for the first time in 1975, she was determined not to leave Hemalkasa and move to the nearest hospital, despite knowing that she might have to sacrifice her child if the delivery goes wrong in the absence of adequate medical facilities. That same commitment is now reflected in Mandakini’s two daughters-in-law, who are full-fledged contributors to Lok Biradri Prakalp. At 68, she doesn’t expect garlands, medals or postal stamps in her name, but an acknowledgement of her altruism and our support so that she continues to flow calmly yet resolutely, just like the river she was named after. How to understand the environment better? After decades of reporting from villages as an environment journalist, I have found the formula to simplify a complex chase for a story. It is to resurrect Gandhi’s talisman of looking at the last man in the line, after some tweaking. To understand environmental issues better in a village, listen to a woman, not a man. Be it a debate over a new economic model or the impending disasters in the country or even the results of an election, women have the most credible answers. I first understood this some 18 years ago, while reporting on an anti-mining movement in Odisha’s Koraput district. I met a tribal woman Sumani Jogdi, who was spearheading the campaign. While serving me dinner, she also put the recipes of sustainable development on my plate. She set the agenda, and intellectual challenges, for environmental journalists in India. “If you want to do development works for people like me, get me access to more forests. I will collect more Mohua flowers and earn more. A steel industry will just displace me, take away my forests and will give back few days of daily wage jobs. That is not development for me,” she told me. Sumani’s economic model for rural development—based on local ecology and its sensible use—is in sharp contrast to contemporary political thinking that bringing in investments in private sector would ultimately bring in prosperity for the poor. She taught me an important lesson: a woman who accounted for a large part of her family’s income knows the village economy. New model was not in sync. This is not an isolated incident. 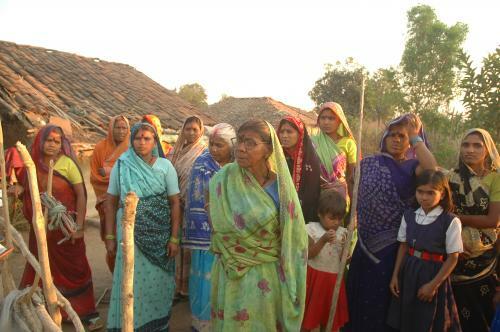 Women can point out causes for failure of development schemes with their understanding of environment and rural life. For instance, some women from Bundelkhand were the first ones to suggest—around 10 years ago—that India’s sanitation campaign based on toilet construction would not work. Away from the crowd of men, a woman told me, “A toilet means I spend extra three hours fetching water to use it. Do you think I will agree to it? Suppose I agree, do you think my husband would agree to delayed lunch and dinner?” Her argument was impeccable and one that policymakers usually do not take into account. A decade later, policymakers are just beginning to understand that building a toilet would not ensure its use and that water must be made available to every household. Women are also quick to understand if a development project will succeed. In case of the National Rural Employment Guarantee Programme, even before the programme was rolled out in 2005, speaking to women could give a sense of why it would be going to be women-driven. They would often say, “Men will migrate as usual. But will stay back and join it. We will also earn equal wage.” Economists term this labour budgeting. In Indian villages, women are the main workers; this also makes them the best planning ministers. So, next time you need to understand Indian environment better, visit a village and speak to the women there. Happy women’s day. 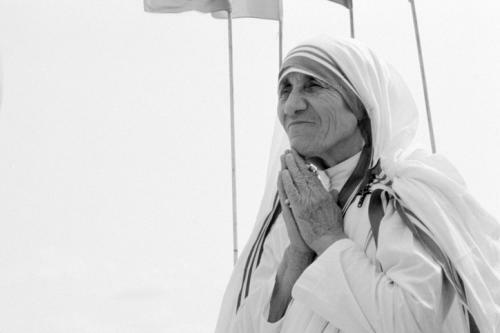 Mother Teresa holds a very peculiar place in the Indian imagination. Most of us have been brought up on the staple diet of the conspiracy theories around her missionary work but at the same time, we hold on to her accolades and achievements as “our own” with a shameless fierceness. She is a persistent presence in the school syllabi and a staple choice for student essays on “inspiring Indian personalities”. But that is not the reason I have begun writing about her today. On a family visit to Kolkata in 1995, I had the opportunity of attending a Sunday mass at the Missionaries of Charity, her order that today has over 3,000 nuns and 400 brothers in 87 countries, tending six million sick people annually. But I didn’t know any of this back then. I was a regular 10-year-old who had been fed on stories of her greatness and was excited just to be able to meet a celebrity. She was someone I had read about in my general knowledge books and she had won a noble prize (I was sure that that was pretty cool). The prayer room was packed. My elder brother and I craned our necks towards the right where all the nuns were standing, wondering if we would even be able to see her. From in between the crowd, we spotted her tiny outline in the last row. Her head was tilted downwards in prayer. She looked exactly like she looked in her photographs. As the mass ended, she began to walk towards the pulpit. I do not remember her exact words, but was struck by the gentleness of her voice. That was the first time I experienced the feeling of being overwhelmed by gentleness, not fierce energy but peaceful and soothing serenity. Like all dutiful Indian children, we had been taught to show respect by touching her feet and that was the how I spent my fleeting moment with the legendary missionary. Both as a star-struck ten-year-old and as a cynical journalist, I have been in awe of the power of determination that she clearly eschewed. Her work never stopped despite the steady stream of criticisms and awards which must have felt like cumbersome travelling companions to someone who knew so clearly what she wanted. Without that kind of clarity, it seems impossible that she could have carried on working with the leprous, the repellently diseased and the outcast destitute, without an implicit faith in her own beliefs. In this era of self-doubt and existential crises, that unwavering faith in the face of opposition seems more incredulous and extraordinary than anything else that this faith might have achieved for her.